This is a sponsored post written by me on behalf of Adaptil. All opinions are 100% mine. Having a hard time trying to deal with dog anxiety? Check out our tips for helping your pup be less anxious. 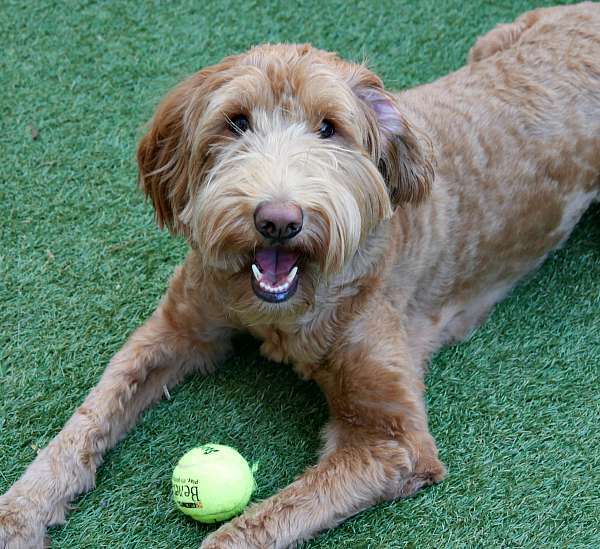 About three and a half years ago, we adopted a 1 year old labradoodle named Ginger. My sister had a goldendoodle we love so we figured we'd get a doodle, too. 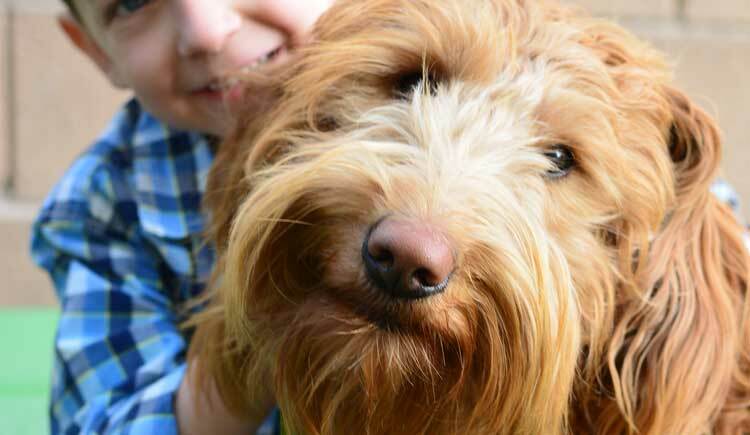 Doodles are amazing family dogs and are perfect for kids. They are loving, active, dogs with the sweetest dispositions. 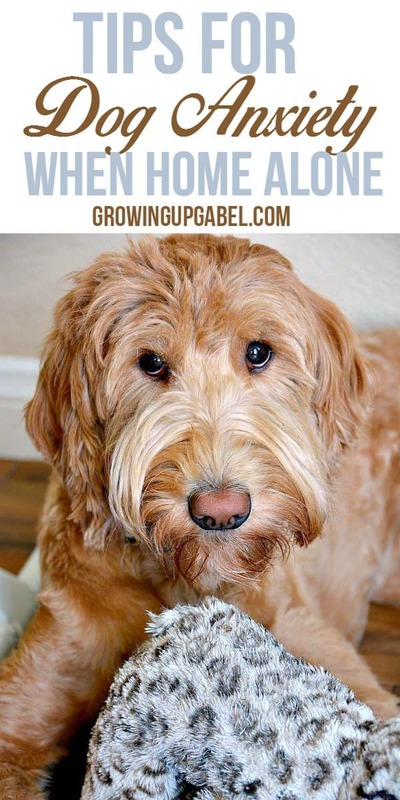 Labradoodles are part poodle, part lab, with a touch of cocker spaniel mixed in for good measure. This means they are exceptionally smart and very high strung. Well, at least Ginger is high strung. She loves people and dogs and is not afraid to bark and jump to let you know how happy she is to see you! What Ginger doesn't like is being left alone. Our girl loves being with her pack. So when we aren't home, she gets very anxious. I hate leaving her, but she can't go with us everywhere. Over the past few years I've learned a few tricks to help relieve Ginger's anxiety when she's alone. Keep A Schedule: It took me all of about 10 minutes in to owning Ginger to realize that dogs are like toddlers. They thrive on a schedule and if you get off the schedule, then watch out. Potty time, feeding time, bed time needs to all be fairly regular. There are certain nights and days when we regularly aren't home so Ginger has learned that she'll be home alone. She doesn't love it, but she knows we will be back. A schedule isn't going to work for anxiety in going to the vet, but for day to day issues, I've found a schedule to be a life saver. Use Lovies: After sweating in an old shirt, don't wash it. Give it to your dog. It smells like you so it'll help ease their anxiety. 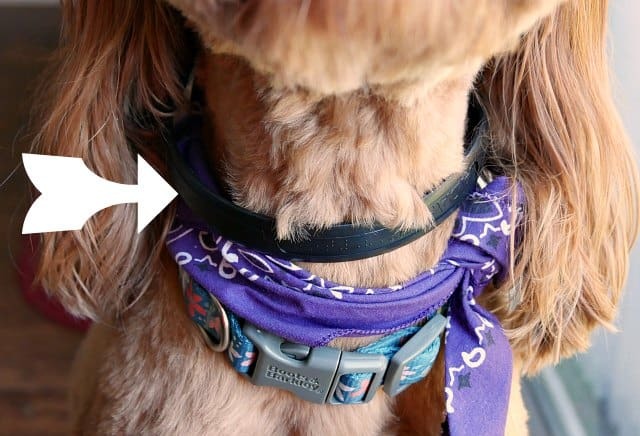 These are great for any time your dog is anxious. Take it in the car, to the vet, to the groomer, put it in their bed or crate. Ginger also has a dog toy she loves so we make sure she has that in stressful situations. Try Adaptil®: Adaptil is a synthetic pheromone that mimics the pheromone mother dogs emit after giving birth to help their puppies feel calm and secure. Dogs of all ages recognize this pheromone throughout life. 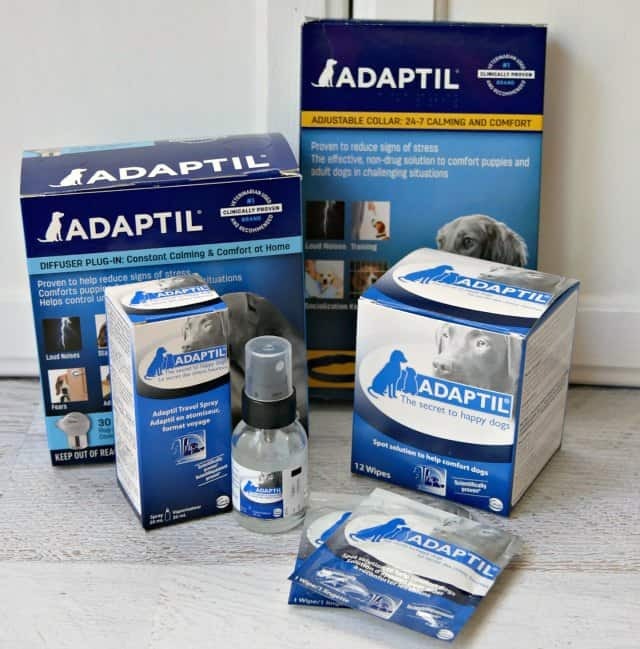 Adaptil® is available as a diffuser, collar, spray and wipes so it can be used in any situation that creates anxiety in your dog. For Ginger being home alone causes anxiety so we are using the collar and diffuser to help her feel more calm while we're gone. Find out more about Adaptil. Check them out on Facebook. Rewards: We tried giving Ginger a treat before we leave the house, but she was too anxious to pay any attention. The treat was always left intact until we returned home. So now we give her a treat when we return as long as nothing has been destroyed. 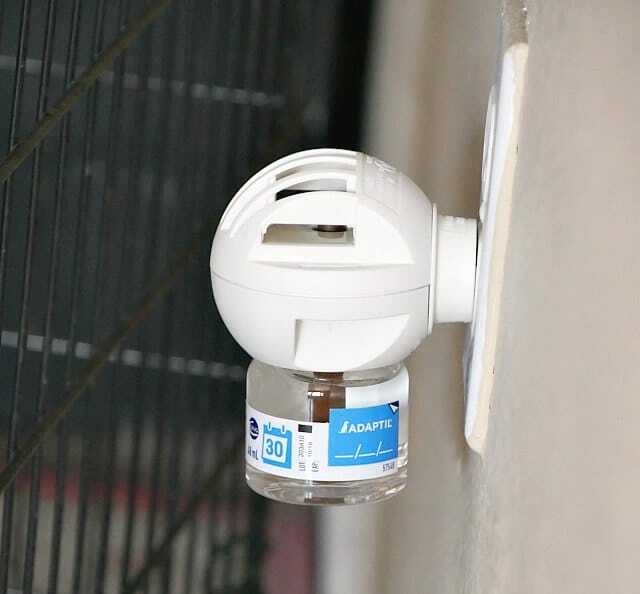 Safe Place: Provide a safe place for your pup while you are gone. This might be a dog bed, a bedroom or even a crate or kennel. 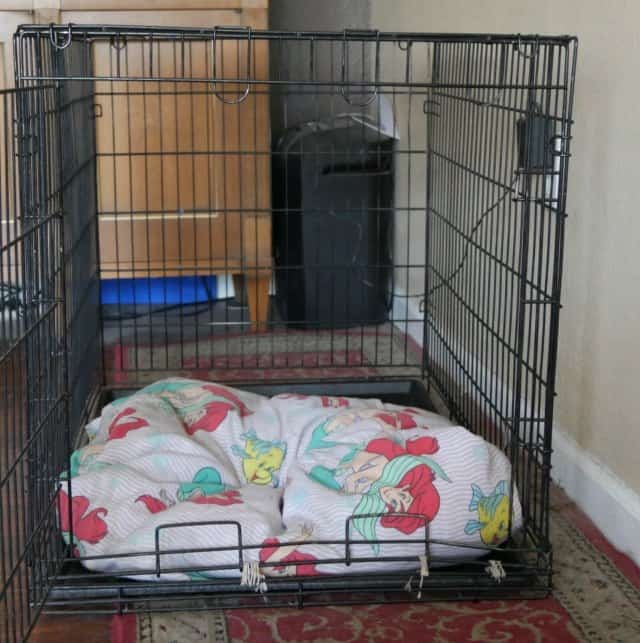 Ginger was crate trained when we got her so we've always used a crate for her. She loves her crate and hangs out in it even when we are home. She has a blanket and a toy in there to keep her comfy. And I plugged in the Adaptil diffuser right next to her crate, too. 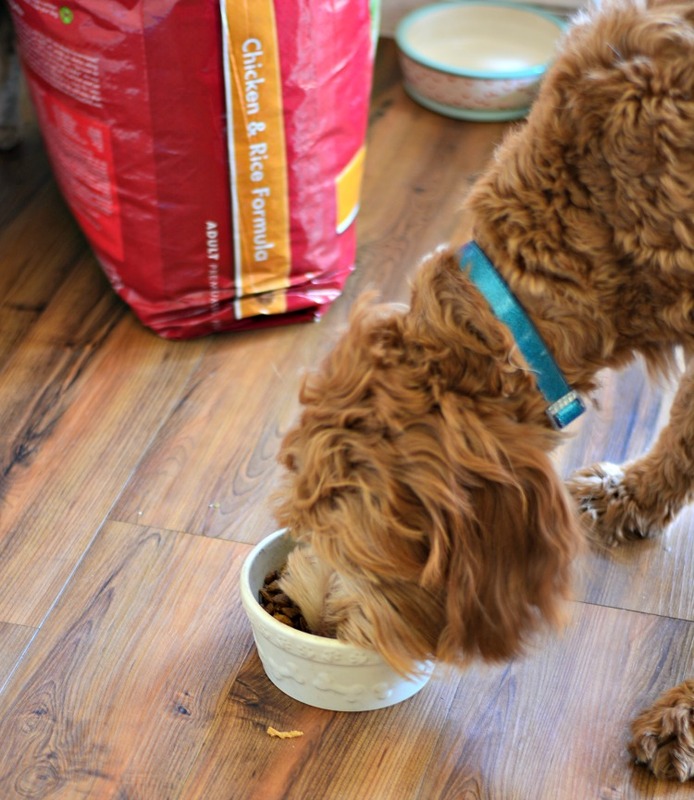 Hopefully these tips will help both you and your dog be less anxious and #FearFree when left home alone.